While boating and jet-skiing can be a great way to get out on the water, relax, and have fun, too many boaters take a lax attitude toward boating safety and etiquette. Despite stricter regulations, boating accidents continue to occur at an alarming rate in Florida, with 2015 seeing 103 more accidents than 2014. Though there were fewer fatalities, almost every boating accident results in serious injuries. If you were involved in a boating accident in Miami and sustained serious injuries or losses as a result, you are certainly entitled to sue the party you believe to be at fault. However, at Spencer Morgan Law, we warn our clients that proving liability in a boating accident can, at times, be difficult. However, with the right Miami boating accident attorney on your side, obtaining the compensation you deserve is possible. In order for your case to be successful, you must be able to prove that the other boat operator was negligent; your injuries alone do not make a valid case. In order to prove negligence, you need to be able to prove that the other boater failed to operate with reasonable care – meaning, that they broke the law in some way. This could be that they were boating under the influence; were boating without a license; were operating the vessel carelessly or recklessly; were speeding in a marked speed zone; were jumping a wake; were operating the vessel during a restricted time; were under the age of 14; and failed to adhere to equipment lighting requirements. For a full list of Florida’s boating regulations, visit the Florida Fish and Wildlife Conservation Commission’s website. In some cases determining negligence is cut and dry, such as if a boat was speeding in a posted speed zone, or they were operating their vessel during a restricted time of day (in which case, both parties would be liable). However, there are other instances when proving fault is a bit more complex. In order to understand why, though, it is helpful to know the three main types of boating accidents. Collision With Another Boat: When two boats collide, it can be difficult to prove liability as both parties could be at fault. If this is the case, the judge may consider each party’s role in the accident and assign a percentage of fault, as Florida is a comparative fault state. Under comparative fault law, the party with the higher percentage is required to pay whatever percent they were assigned of the awarded settlement. So, for instance, if the settlement would have been $10,000, and the judge determined that one party was 40 percent liable and the other 60 percent liable, the party with more liability would have to pay $6,000 – 60 percent of $10,000. If the judge determines that both operators are equally liable, neither would receive a settlement; however, the passengers of both boats could if they chose to sue. 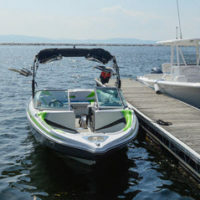 Hitting Another Boat’s Wake: While it is illegal for boaters in Florida to hit another boat’s wake, there are factors that could flip liability to the boater who made the wake. If the boat that made the wake was speeding in a no-wake zone, was driving recklessly through a congested area, or was driving recklessly when there was low visibility, they may be held liable for an accident caused by another boat hitting their wake. Collision With an Unseen Object: Colliding with an unseen object can be the fault of negligent operating. Boaters in Florida are required to use navigation equipment, which can detect unseen objects. If a boat operator fails to use such equipment, they can be held liable for an accident caused by such a collision. They may also be held liable if they were speeding and failed to see the object in time, if they were speeding through dense fog, or were operating the vessel negligently and carelessly in any way. Though it may be difficult to prove negligence in certain boating accidents, with a skilled and knowledgeable boating accident lawyer on your side, you will be able to collect damages for your injuries. If you or a loved one was injured or killed in a boating accident in Miami, reach out to the lawyers at Spencer Morgan Law. Contact us online or by phone to schedule your free consultation today.